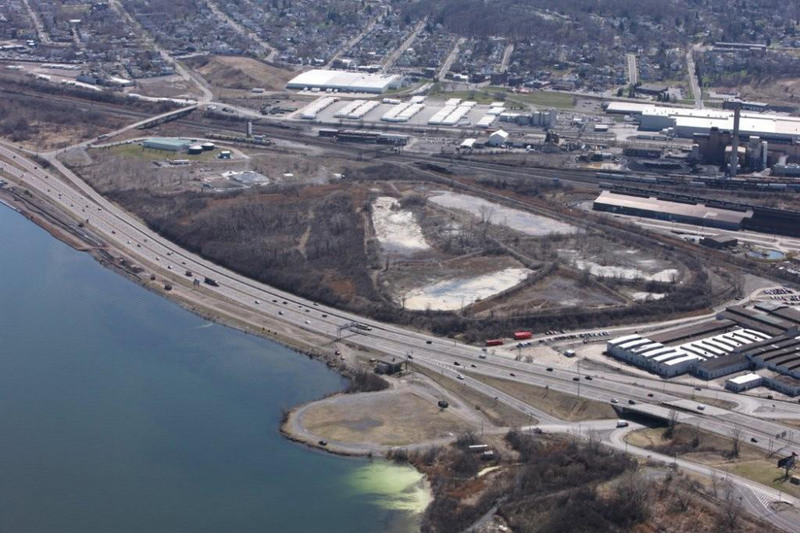 The Semet Residue Ponds are located in an industrial area approximately 400 feet from the southern shore of Onondaga Lake in Syracuse, NY. The site is a sub-site of the Onondaga Lake National Priorities List Superfund site. The objective of the project was to prevent the discharge of contaminated groundwater from the 11 acre Semet Residue Ponds (which contain approximately 20 million gallons of waste material generated during the production of Benzene, Toluene and Xylene) from migrating to Tributary 5A and to Onondaga Lake. 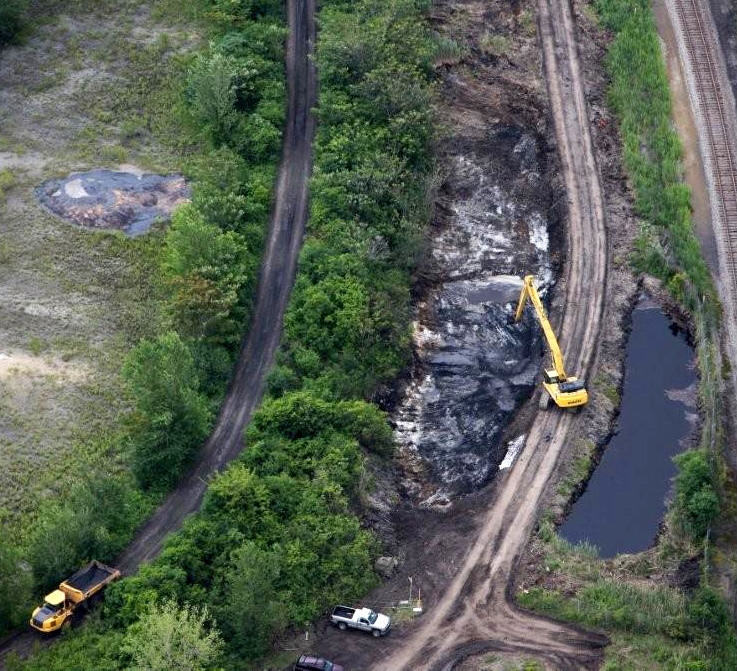 The project consisted of bypassing the 5,000,000 GPD tributary for two years to allow for the removal and relocation of over 13,000 cubic yards of contaminated sediment and Semet tar material within reaches of the tributary. 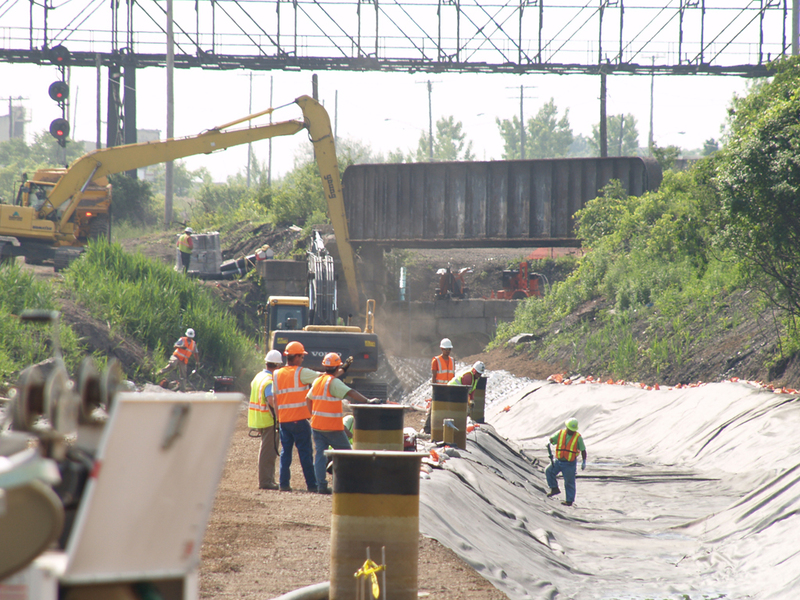 Over 700 LF of sheet pile wall was installed along the adjacent active railroad prior to excavation. After excavation, the entire 5-acre tributary system within project limits was lined with a 40 mil LLDPE and 40 mil HDPE liner system. A groundwater collection trench including over 3,800 LF of 6” FRP piping, 20 cleanouts and 10 FRP lined observation manholes was installed adjacent to the liner system that conveyed groundwater to 2 pump stations installed 25 feet below grade. Over 4,000 feet of ductile iron and fiberglass force main was installed to transmit the water from the pump stations to an onsite water treatment facility. Backfill included over 15,000 CY of select fill including fine silica sand, crusher run and structural sub-grade. NRC also performed full restoration of the riparian zone with aquatic vegetation, installation of over 5,000 feet of road way, fencing, gates, and the cleaning of over 1,500 LF of 72” and 60” culverts that run under an active interstate roadway. Uninterrupted bypass and dewatering pumping of 5,000,000 GPD for 2 years. 700+ LF of sheeting along active railroad. 2 FRP lined groundwater pump stations, deep wells and valve vaults. 10,000+ CY of contaminated riparian sediment & 3,000 CY of Semet tar material. Installation of groundwater collection trench, piping, cleanouts, and manholes. 5+ acres of a 40 mil LLDPE and HDPE liner and strata.